Today we are playing with glitter. A whole lot of glitter! 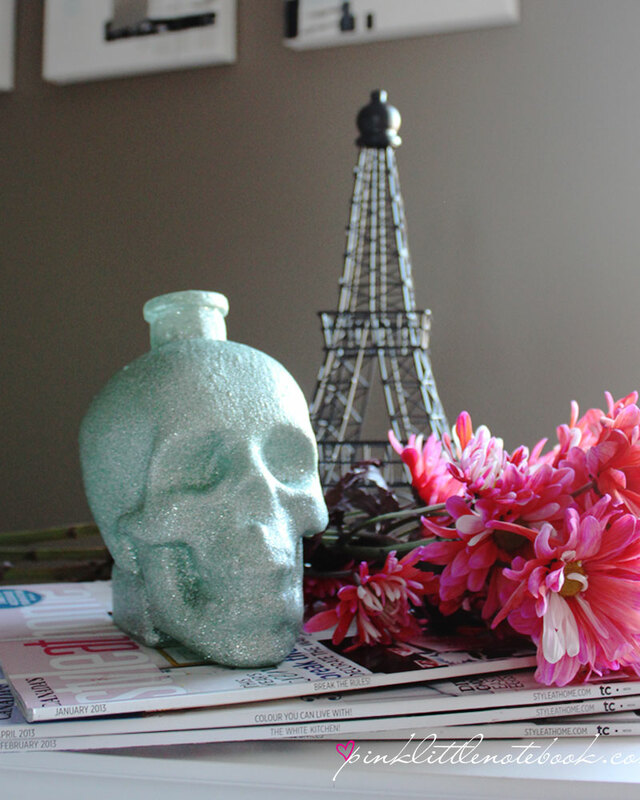 In preparation of my home office, I needed an easy way to add a pop of “rock” glam to my upcoming space. 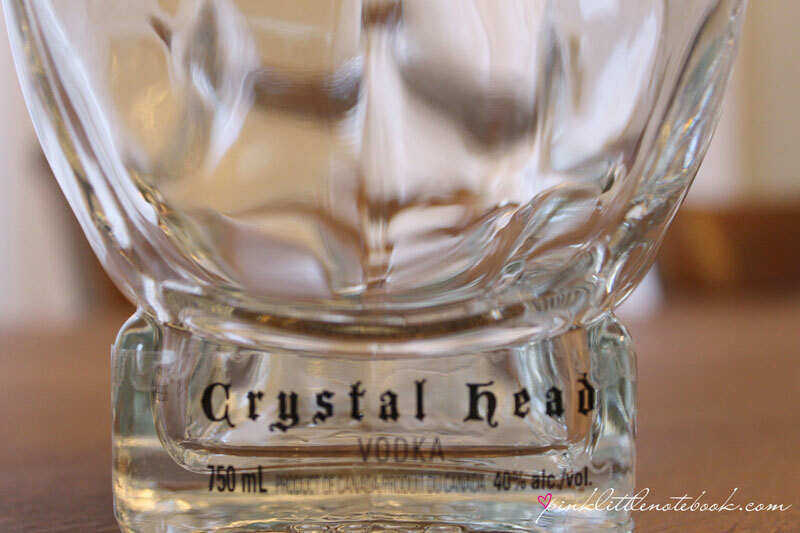 I am using a Crystal Head Vodka bottle for this project (secretly stolen from the hubby’s liquor cabinet) but you can pretty much use any vase or mason jar. 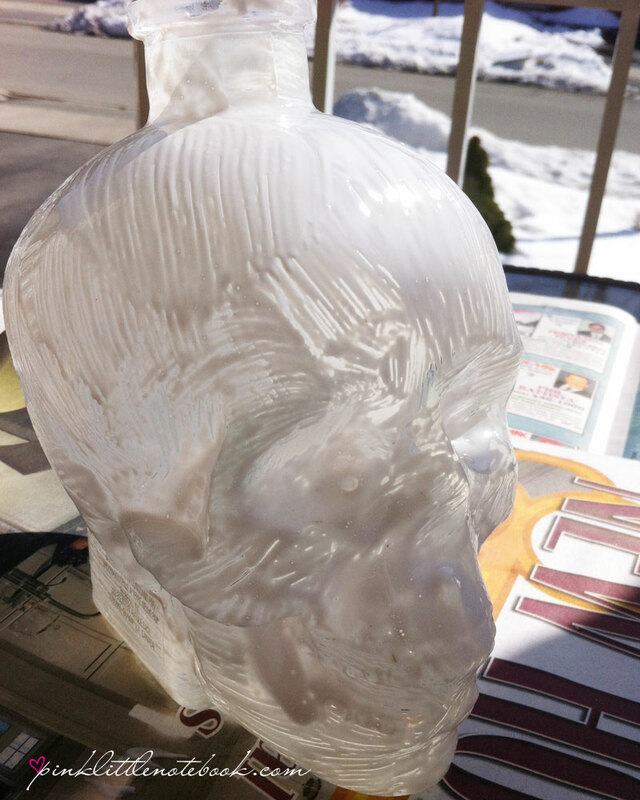 I took the glass skull and applied a thin even coat of ModPodge onto the bottle. Next up, I dumped a generous amount of glitter to coat the ModPodge. Then I just let the bottle dry. 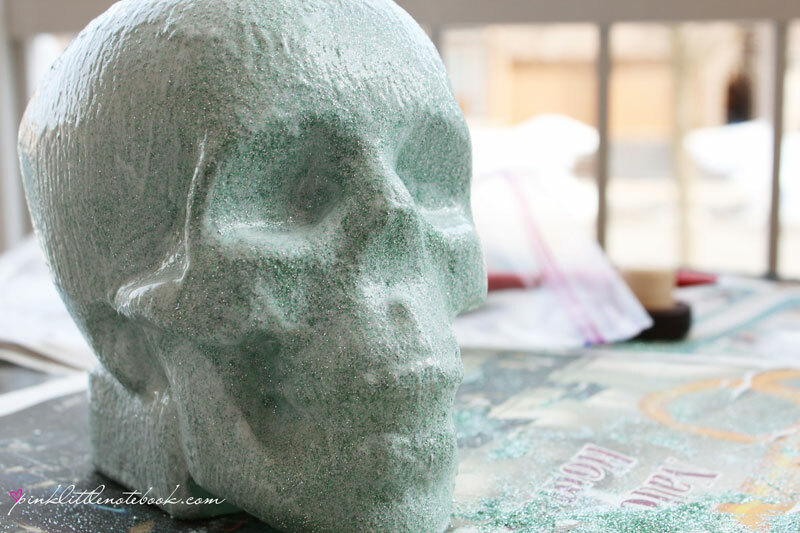 It takes an hour or so, depending on how thick you apply the ModPodge. 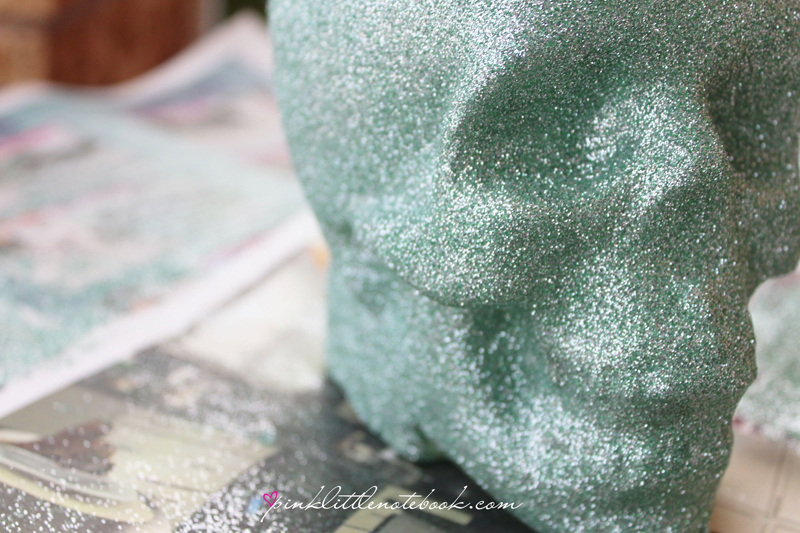 Any excess glitter can just be scooped up and put back in the container. You will make a huge mess so make sure your cover your workspace or do this outside. I choose to do mine outside since it was a nice day and glitter still managed to find its way inside my house. 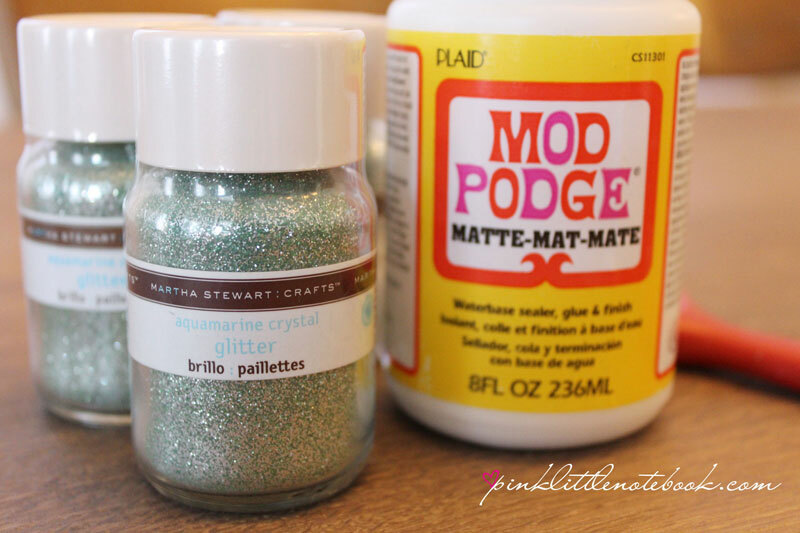 To make sure I didn’t miss any spots, I applied a second coat of ModPodge and glitter to the bottle. Once that had completely dried, I applied one more thin coat of ModPodge on top of the glitter to lock and seal everything in place. Trust me, do not skip this step, otherwise this thing will leave a trail of glitter every time it moves. 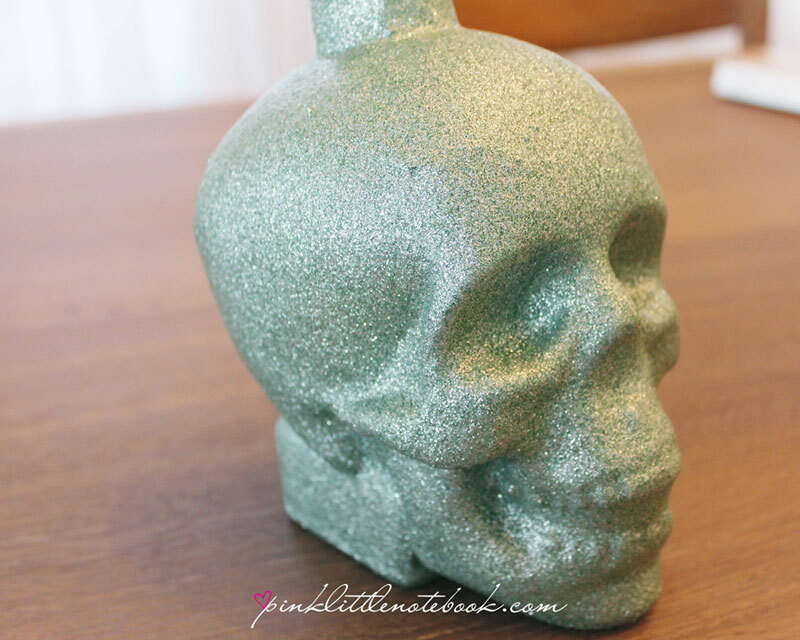 And there we have it, a glittered skull head just for me. I will be using this as vase or bookend in my upcoming office. Stay tuned! Love this! Make me one!